5 stars - "Epson WorkForce 630 All-in-one InkJet Printer with CISS" by Fina Mugs, Written on 2012, 13:08/08/17 I print a lot and it surprised me with ability to print so much without refilling. +1, Inksystem. 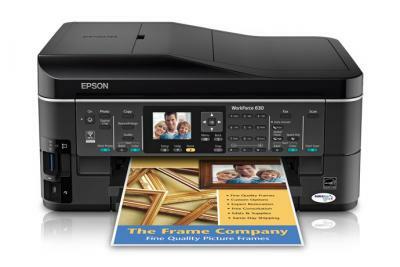 Buy Printer Epson WorkForce 630 with CISS and make 30 times more quality prints for the same money! Modern technologies have changed our lives and helped the economy grow. They have also given us new challenges to solve and have become a part of our society. Even so, today, when these technologies perform all kinds of work, there are some demands set forward to computers, telephones and printing devices, concerning their functionality, performance and advanced features. We would like to introduce you one of those representatives - Epson WorkForce 630 printer. As at home, so in office you will see that this device will serve you perfectly well. This multifunction device, in spite of a rather low price, provides an excellent printing quality of documents or photos, and also its scanning/copying. A high resolution of both the printing device and scanner/copier. A low ink drop volume, it is only two picolitres. An available CISS, installed on the device. Scanner Optical Resolution 2400 x 2400 dpi. While using Epson printer 630, you get phone support, without charge, for the life of the product. And, when you register your product, you'll enjoy benefits and advantages such as free, downloadable business templates and "how to" tutorials. This MF comes with a one-year limited warranty, which includes quick product exchange, plus dependable service and support. Save your time and money! This multifunctional device uses up to 70% less power than laser printer. It is very fast and prints great detail. With this new technology the quality of every print will be up to the mark! Take your productivity and effectiveness to new heights with the 630 Epson printer, the all-in-one that brings you the fastest print speeds in the world in its class, a 250-sheet paper tray, and a 30-page Automatic Document Feeder. Producing through critical tasks at speeds of 15 ISO ppm and 7.2 ISO ppm, this MF uses 127 Extra High-capacity Black inks, so you get twice more prints per cartridge, which means less time spent replacing and buying cartridges. The most popular opinions are that this printer is really easy to set up and with no problems at all, really fast to print, copy, and fax. Features that single out Epson 630. Save time with the fastest all-in-one in the world, get ISO print speeds of 15 ISO ppm (black) and 7.2 ISO ppm (color). High-speed faxing in black/color - 3 sec per page; speed dial storage up to 60 numbers; fax memory up to 180 pages. Connect to your wireless network quickly and in the simplest way. The multifunction device is equipped with LCD-display, and also it could print photos directly from your camera, without any connection to PC, that has a positive effect on the convenience. You could order this MP here, and also we have Epson Stylus N11 and Epson Workforce 325. 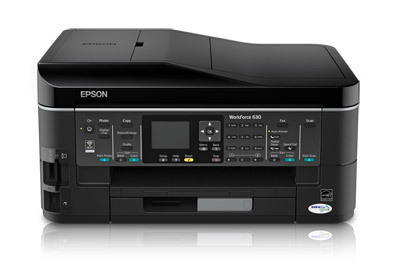 Furthermore, it worth mentioning the compactness of the Epson 630 printer itself, a high printing speed, a possibility of wireless connection due to Wi-Fi module, and also that its price is not high. And also it worth turning your attention to the fact, that this multifunction device is equipped with a color fax, that makes it appropriate for operation in office. That is why it makes sense to buy this multifunction device in particular from us. All modern multifunctional devices, especially printers, have one problem for all of them, meaning expensive original cartridges. 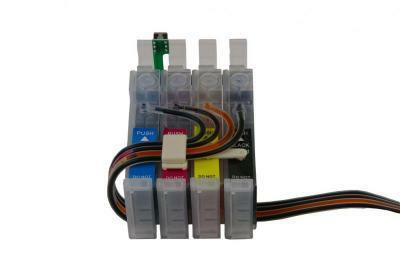 Continuous ink supply system, known as CISS, will help you to reduce the costs and time for printing significantly. Using CISS the ink is constantly supplied to a cartridge, and you just need to refill the tank with ink. 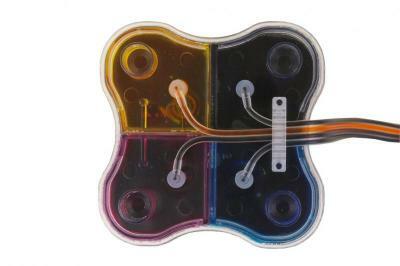 The INKSYSTEM Company offers qualitative and reliable CISS at the acceptable price. The widest variety of functionality and convenience of Epson workforce 630 wireless will astonish even the most exacting customer! I print a lot and it surprised me with ability to print so much without refilling. +1, Inksystem.